Spring is here! The weather is beginning to warm up and now is a great time to choose a new home at Seven Hills. 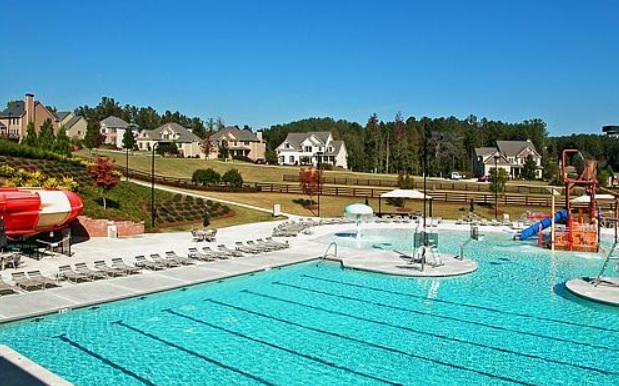 Creating an wonderful lifestyle, Seven Hills brings a sense of belonging and strong community ties, all enhanced with planned activities by an on-staff full-time Activities Director and Tennis Pro on staff. Your family will enjoy year-round fun, convenience and relaxation. Why should you buy a new home now? According to this article in Realtor.com here are three great reasons for purchasing your new home now. 2. Prices are climbing, but not excessively fast – Home prices have soared over the past few years, pricing otherwise well-positioned buyers out of high-cost areas and leading some experts to cry “bubble”. But in 2018, price increases are expected to moderate. Vivas forecasts a home price increase of 3.2% year over year, after finishing 2017 with a 5.5% year-over-year increase. Existing-home sale prices are predicted to increase 2.5% year over year. 3. Inventory levels will begin to increase – An inventory shortage has plagued the U.S. housing market since 2015, forcing some buyers to settle for a tiny home and keeping others out of the homebuying process entirely. But by fall 2018, the tides will begin to turn. Homebuilders are building new homes but many are put under contract before being finished plus you always have the option of building and designing your new home from the ground up.